l love blackberries. 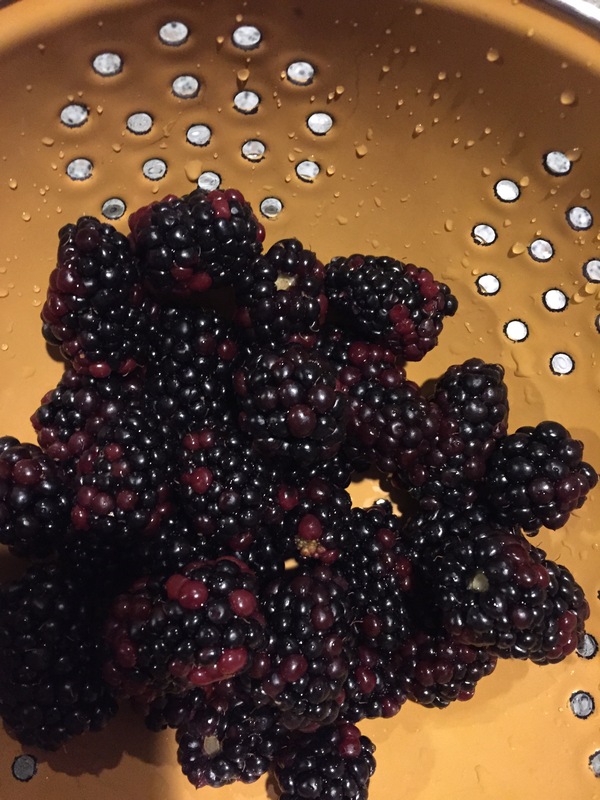 This time of year is always bittersweet, because I know that when the blackberries are at their peak, cold weather can’t be far behind. And cold weather would be fine, if my bones weren’t aging faster than my mind, which still thinks sledding is one of the most satisfying activities one can do. Safe? Who needs safe? Speaking of safe, a friend mentioned that she needs to know how to format her first novel. She’s still at the draft stage, and lots of us have preferred methods of formatting as we move through the stages. It’s fine to be eccentric (Webdings at the end of every chapter? Sure, if it makes you smile and write on) but when we’re ready to submit, there’s not as many options. As the article referenced below attests, 12 pt Times New Roman font is the standard. Period. Nevertheless, it’s a good idea to save yourself some time by getting your headers right from the beginning, and making sure you’re in some 12 pt font, so you can give a reasonable word count when some writer buddy corners you at a party and insists that fantasy novels cannot exceed 50,000 words. (Which I hope happens to you NEVER.) You may want to read the article cited below thoroughly and think about what steps you should perform now, and which fine points to reserve for that magic moment (substitute a modifier of your choosing: sweat-inducing; terrifying; barfable, etc.) when you are ready to query agents and/or editors. May you find your own blackberry winter, in whatever season, that one aha! that shocks you and thrills you and makes you work faster, better, more exuberantly toward your own ends. But, first, stop for some blackberries at the farmer’s market this morning. They’re at their sweetest when winter is nipping at our heels. I love blackberries. Unfortunately, there are no blackberries where I live. Growing up on the outskirts of a town, my siblings and I were sent out to gather wild blackberries each year in late summer/early autumn. Nowadays, I feel bad about buying blackberries. Here, they come in tiny containers and cost a horrible amount of money. I’m so sorry, Trippmadam. Polaner’s blackberry fruit spread is a pretty good approximation. Maybe you can find some? Not like biting into the fruit, but the flavor. . . . Always enjoyed eating blackberries and grew up munching on wild cousins of these berries in India.love how you weave in novel ‘pruning’ into this!